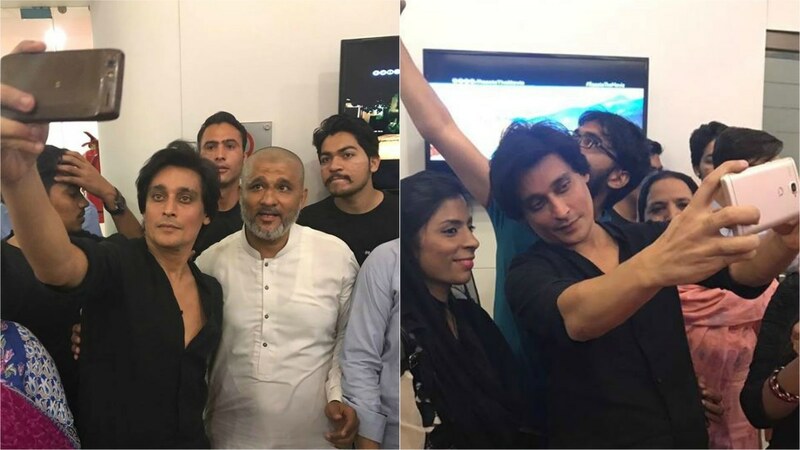 Sahir Lodhi is a phenomenon. He’s everywhere — on radio, television and film. He has a cult-like following which comprises in equal parts earnest, adoring fans and those who mock him but can’t look away from his narcissistic shenanigans. Both groups have cause to celebrate these days. The object of their attentions has just released a film, Raasta, in which he is the star, the director, the producer, the writer and the song-writer. 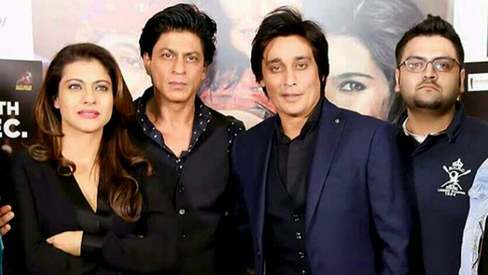 Just a day after the premiere of his film, Sahir agrees to meet Icon despite his hectic schedule of movie-theatre appearances, presscons, radio shows and morning shows on TV. 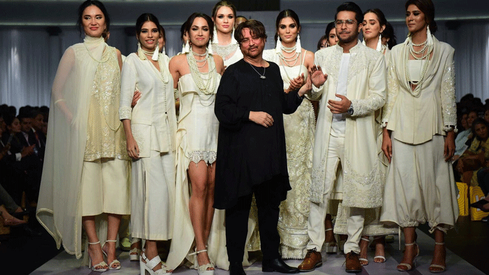 Dressed in a black shalwar-kameez that accentuates his insanely clear complexion and haunting eyes, he looks preoccupied and subdued, unlike the exuberant morning show host we usually see on TV. Thrown off by his unexpected demeanour, I start off on the wrong foot. I ask him about what seems to be his obsession with Bollywood superstar Shah Rukh Khan [SRK]. “I don’t know why people ask me this irrelevant question. Mein thak gaya hoon is sawaal se. [I’m tired of this question]” His vehement denial is a double whammy – he’s dismissed the question and set the defensive tone for the entire interview. I have to admit I am a bit taken aback. He laughs just like SRK, his expressions and SRK’s outstretched-arms pose in Raasta, it’s all there, sometimes almost natural and at other times contrived. He’s even read out whole scripts of SRK films on his radio shows, pointedly doing the SRK lines himself. But he continues to deny he’s in any way obsessed. Talking to him, one often feels what seems contrived might just also be real. Is he a drifter, dreamer and an idealist? “I live in moments,” he says philosophically. “Sometimes we spend our whole lives searching for a moment, sometimes we find our whole life in a moment. 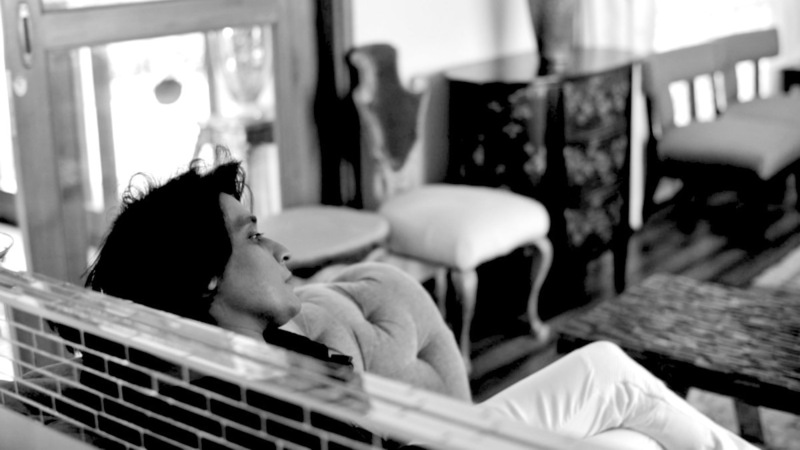 I am constantly in search of these moments,” he says, looking thoughtful and staring into space. But he has obviously read some of the reviews or read some of the social media reactions about his debut venture and this is playing on his mind. “The state and the situation in which I got the film, I had to see it through to the end. I was not supposed to be the director. How I completed the film from that point onwards, nobody will appreciate my struggle. Bohat se logon ne loota aur chalay gaye. [A lot of people fooled me and left.] I will not mention names of those who messed up. I had two options, either to go on making the film or stop. I try to move the conversation towards more pleasant topics such as his family and those that inspire him. He tells me his baby daughter Zara is the most special person in my life and that Waheed Murad and the boxer Muhammad Ali are his inspirations. But everything inevitably circles back to himself. “Mohammed Ali Clay continues to play the greatest role in my life every single day,” he says. “He was a fighter, a survivor and a winner and his life holds lessons for us all. People didn’t believe in him and he worked against all odds and his faith in himself was remarkable. When I am down, I draw my courage and inspiration from him. I tell myself that duniya ki saari nafratein mil ke Khuda ki mohabbat ka jawab nahin hosakteen [all the hate in the world on one side is still no match for God’s love]. I think I’m all right with this belief,” he says in his typical drawl. I wonder if all the mockery may have broken him. But he tells me of three new film projects he’s working on and the hospital he’s having constructed, whose ground-breaking is expected soon. “No challenge is bigger than my spirit!” he exults. “People like to discuss hate more than love. I guess I have more friends than enemies, that is why I am here today,” he says with a smile, that reminds me very much of SRK’s. I decide not to point it out. 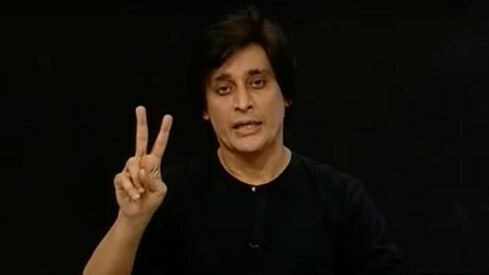 A true unveiling of the real Sahir Lodhi whom many Pakistanis adore for his compassion, his generous nature and most of all for his good works such as the free health clinic service for the poor. On his talk shows, we see a side of Sahir that is kind, decent and heartwarming. As for his movies, e wish him all the success in the world so he may continue to give back to those in society who are downtrodden or in despair. 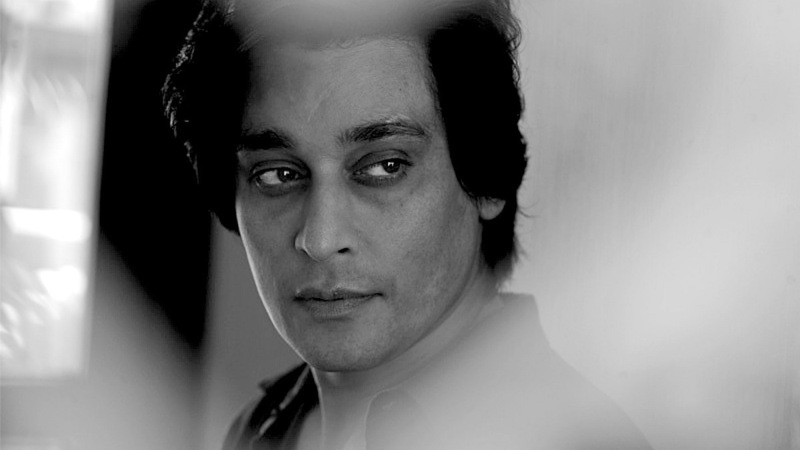 If only Sahir would not be full of himself or SRK, he would feel light and good. And we will love and respect him more. You disrespect pakistan and its people. You just don't have it. Dude, because you are NOT an original person. You have no personality. It is like you're living someone else's life. Your movie songs are copies of Shahrukh Khan song's, same style. Nobody likes wannabes !! Be original !!! Have your own personality !! I disagree with the article, he does NOT have 'Cult type following' !! He has no following to be honest. He can be a good actor. All he lacks is talent. Still to find a person on either sides of the bridge who loves him. @sallu seems like you just read the first line of this article and nothing else. This is actually a very well written piece about the 'real' Sahir Lodhi who is better than what we see on morning shows. Who can blame them if they cannot make up their mind... They are simply not sure what you are, or trying to become....!? His cult-like following wasn't large enough to save his film from going bust. Mr. Sallu sum up him nicely here and I am 100% agree with him. "Dude, because you are NOT an original person. You have no personality. It is like you're living someone else's life. Your movie songs are copies of Shahrukh Khan song's, same style. Nobody likes wannabes !! Be original !!! Have your own personality"
Finally - a well written article in Pakistani press. The biggest problem in Pakistan is the educated class. It's astounding how biased all the reviews and opinions are towards his movie. Granted the movie might actually be of a low standard (I haven't watched it, just for the sake of argument) however this is not the way to go about it. It is ridiculous to read every single Pakistani news website talking so negatively towards him. The level of journalism is so low in Pakistan that it is a shame to even call them movie critics. As a reviewer you review the movie with a bit of objectivity and subjectivity. Unfortunately this was not the case. Even this article has a very negative tone as if the person who wrote this wanted to belittle him in a subtle manner. You can judge by his tone that he is obviously on the media bandwagon. Again your personal opinion of the actor should be set aside as your reviews lose credibility. Review movies on merit not on personal preferences. @aK There is a difference between criticism and belittling a actor. The reviewers were focused on insulting him rather than talking about the actual move. And from what I have read Sahir Lodhi was not the only actor in the movie. What evidence do yo have which supports the accusation you are making that he used this movie to self-promote? Why would a person like him self-promote when he is already so famous in Pakistan? Makes no sense?! P.S Not a fan of him nor do I watch his Tv shows or anything he does just so that you know I am not defending him because I am a fanboy which discredits my argument just like the critics reviewing his movie. Because you imitate someone who himself is so artificial. If Raasta would have been made two decades ago it could not have been called a first line Lollywood movie by any means. Typical "Gandasa" type movie it is. This guy is suffering from Histronic Personality Disorder. Please learn to take actual criticism positively. you taken our dislike many notches ahead. no we don't hate you because you're just not that important. it's just that we dislike you and don't want to see you. I am shocked to read that this CONSTIPATED version of SRK has 900K followers...Nobody in India knows this guy at all, but don't why he's trying to act as if he's the biggest star of the decade. Dude, first of all be original, don't try to copy SRK. People love original, they discard "fake maal" and stop pampering your ego. In my opinion Fawad Khan & Ali Zafar have huge following in India & Pakistan but nobody knows this guy. I only came across this article ONLY to see who is this fake copy of SRK. Anyways good luck for you future in Pakistani films but try to be ORIGINAL.